يحظى فندق At Marina Shores Hotel بمكان متميز في محور المدينة والاستمتاع بـ الحياة الليلية, سياحة, شواطئ في هذه المنطقة الفاتنة. يمكن من هنا للضيوف الاستمتاع بسهولة الوصول إلى كل ما تقدمه هذه المدينة النابضة بالحياة. يقع هذا الفندق الحديث على مسافة قريبة من المعالم السياحية الشهيرة. يعمل At Marina Shores Hotel على ضمان إقامة مريحة لضيوفه من خلال خدماته الممتازة وحسن ضيافته. لضمان راحة ضيوفه، يقدم الفندق الخدمات التالية: واي فاي مجاني في جميع الغرف, محطة شحن السيارات الكهربائية, توصيل من البقالية, خدمات بريدية, خدمة سيارات الأجرة . ادخل إلى واحدة من الغرف 50 وتخلص من عناء نهار طويل بمساعدة مجموعة كبيرة من الخدمات كمثل تلفزيون بشاشة مسطحة, مرحاض إضافي, رف للملابس, قهوة فورية مجانية, شاي مجاني الموجودة في بعض الغرف. يقدم الفندق مجموعة واسعة من وسائل الراحة المتنوعة، كمثل: قوارب, كنو, مسارات المشي, حديقة مائية, الغوص السطحي. إن At Marina Shores Hotel هو خيارك لخدمة الفنادق الراقية في المدينة. Hotel was nice. A little far away from Airlie Beach to casually walk there. Car needed for us to get there. Air cons didn't really cool whole place properly when all were in use. Needed to shut off bedroom ones to cool the living room/ kitchen. Extra linnens and towels cost $. 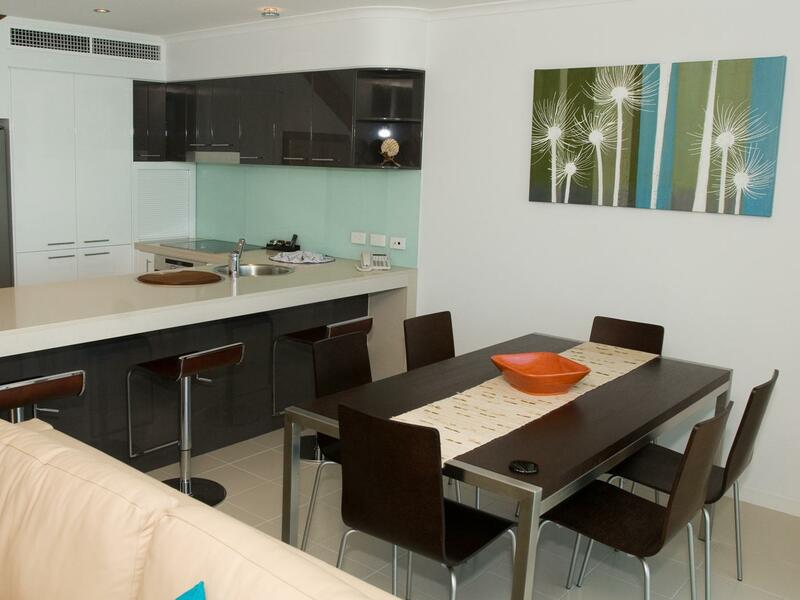 Kitchen was well equipped and pool was nice. Overall an okay stay. The room I had was needing maintenance, eg shower door didn’t close properly so water went everywhere, toilet seat fixtures badly corroded. Not clean either: floors sticky, appliances grotty, ironing board cover old and dirty. Beds average and some pillows smelt bad. Nice pool. No gym which is strange for a complex with +50 rooms. 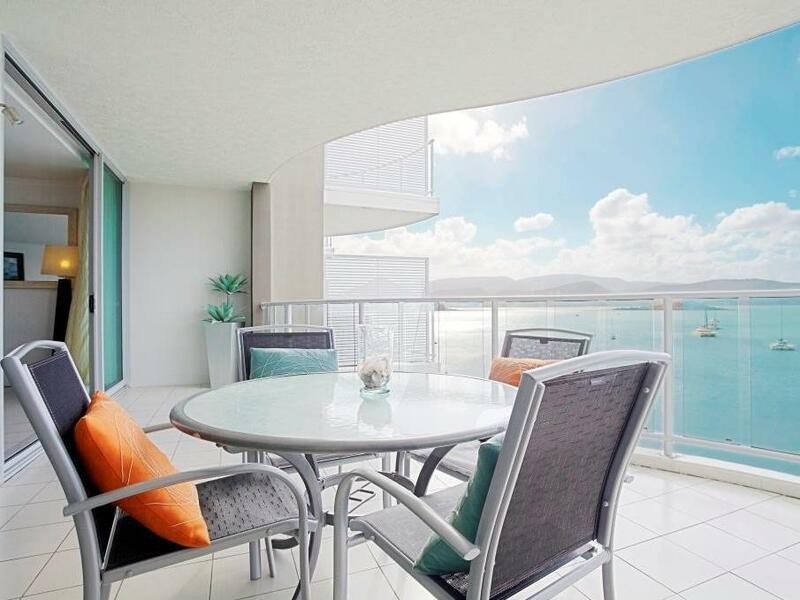 A very long walk to the main Airlie Beach shopping area, but the Marina is a short walk and has a great healthy breaky cafe plus excellent lunch/dinner Restaurant. The room cost a lot for what it was and the decor/furniture is getting old and worn. I wouldn’t stay here again. Incredibly accommodating and friendly staff, beautiful facilities and surroundings. Maintenance could be better. Ants everywhere and washing machine/dryer outdated. Machine kept stopping. And were told that apt would not be serviced unless staying 8 nights or more. Which meant had to get own supplies (dish detergent, dishwasher liquid, tea/coffee, toiletries, toilet paper, etc). Pool wasn't as clean as you'd expect. 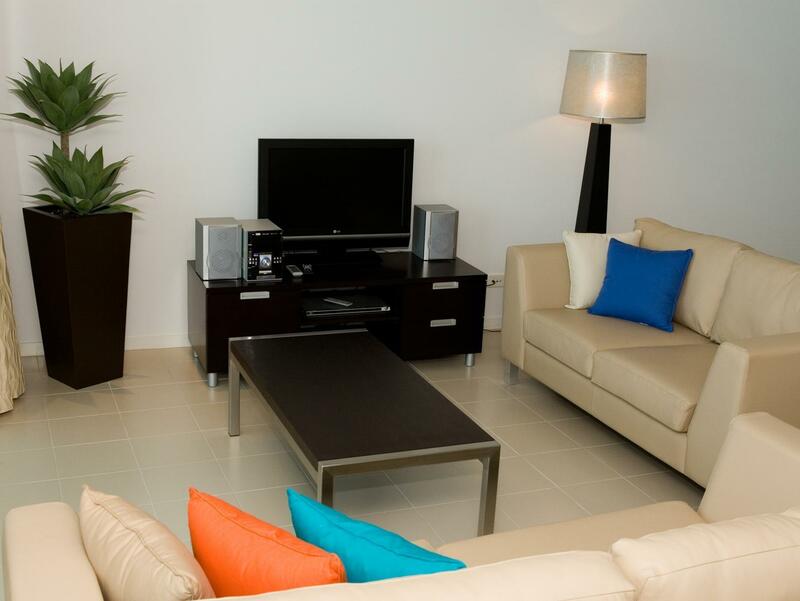 Location was perfect, great security and fantastic value. Had everything you needed and rooms were great for young family. We walked into Airlie for dinner and it cost $8 to get home by cab ! We will be back to stay and relax for a week ! Staff average pillows terrible and no choice only one blanket in twin room so one guest went without only one tiny milk carton for 5 guests and staff wouldn't supply so had to buy our own ,not 24 hour service and layout of room is strange you can see the person on the toilet from the lounge room through a semi clouded window!! Not very good, my wife and i and all our belongings were covered in mould and dirt coming out of all the air conditioning vents in the unit, whether we were in the living room or while we were trying to get to sleep. Which brings me to another point, why is there a light right outside the bedroom window with a window blind that does not block it out, seriously why???? 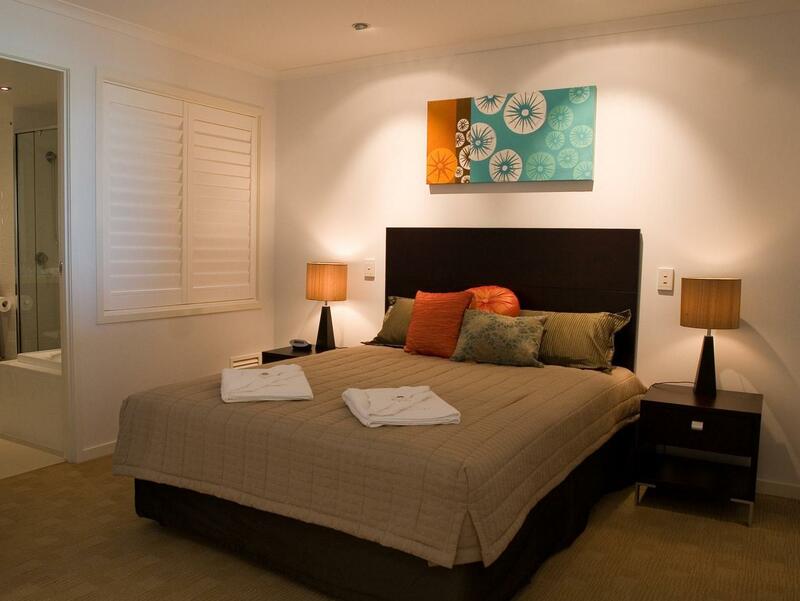 Very nice rooms, a good 15 minute walk from the main street in Airlie. Nice pool and facilities. Enjoyed our stay & had a fantastic few nights away, I would recommend it to all my friends. 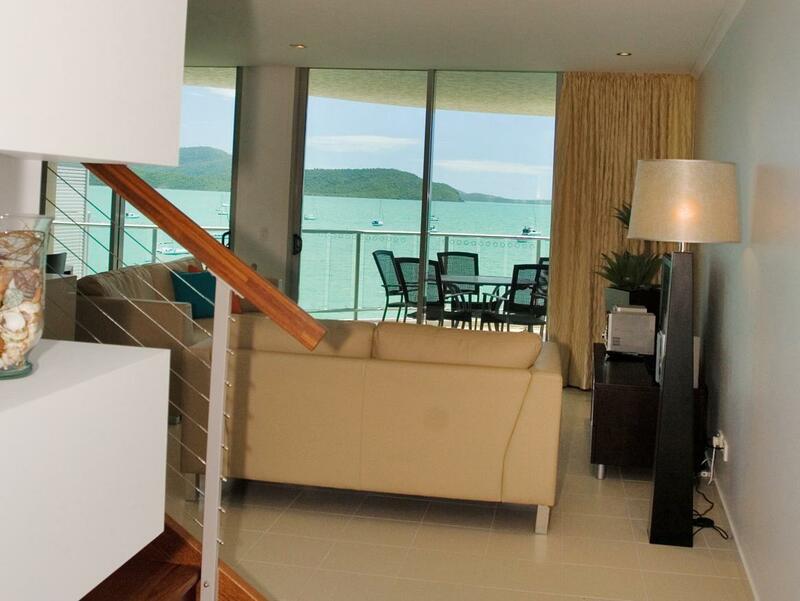 Marina Shores Hotel is located well near Airlie Beach Pier, just 10 minutes walk from the Pier. A nice walking path along the coastal line. The Ocean View of our family room is fantastic. Big Balcony where you can BBQ. 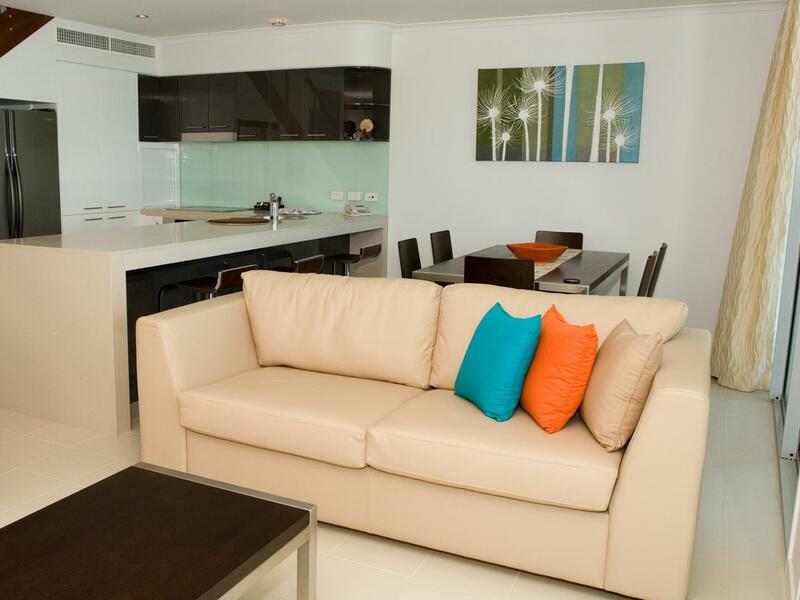 The 3 guestrooms are nicely decorated and we love the dining room and kitchen. It will be great if the cleaning service is more frequent and if the reception can open 24 hours instead of from 8am-6pm. Wireless Internet username and password should be more accessible to guests as well. 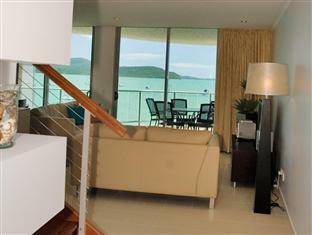 It is a slightly secluded serviced apartment, located close to the Marina where the ferry arrives from Hamilton Island airport. 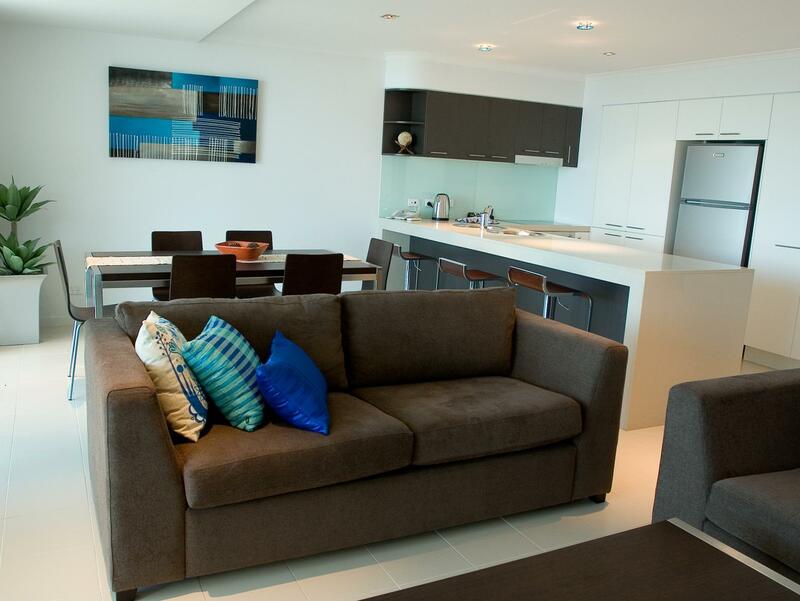 A comfortable walk to both the supermarket at Cannondale and the shops and restaurants of Airlie Beach. Walking around the boardwalk was a great way to walk off the meal. No need for a car, tours pick up at apartments.